Jay Z showed fans a glimmer of how truly good-hearted he is after halting his concert in California on Saturday. 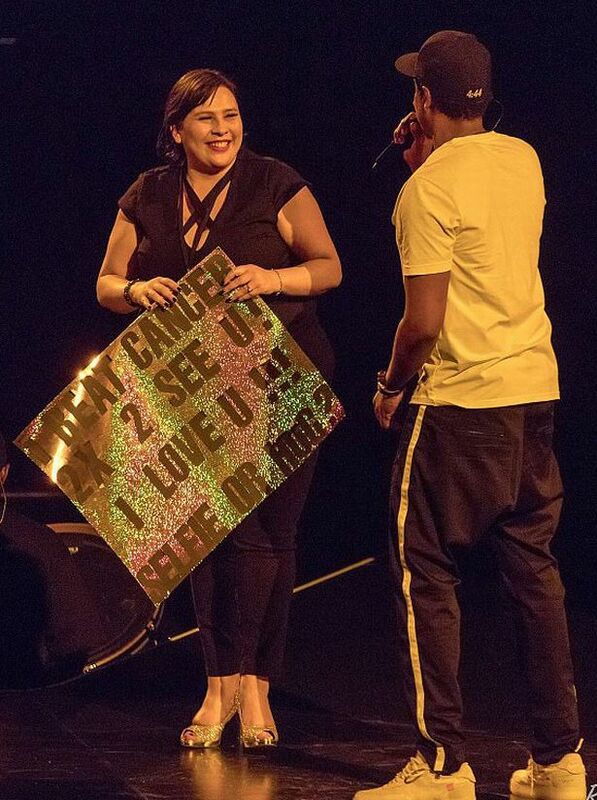 The world-famous rapper, 48, stopped the entire production of his 4:44 show to bring a fan on stage who had suffered from cancer twice. After spotting Christina Cruz and her glittering sign while in the middle of his set, he stopped and motioned for her to come up. She had been standing near the front row with her sign, which read: "I beat cancer 2x 2 see u! I love u!!! Selfie or hug?" The Run This Town artist read out the sign to the crowd before saying, "I gotta give you at least a hug." He was then cheered by fans as he went on to ask: "Could somebody help her around please? Help her around!" A video captured the rapper helping Christina on stage and giving her a hug.